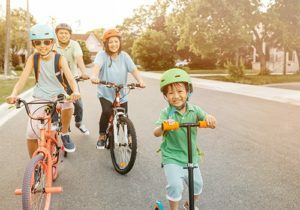 Benefits for minor children – your unmarried children younger than age 18, or full-time students between 18 and 19 years old at a secondary or elementary school, may be able to get benefits under your Social Security record as long as they meet all the requirements for eligibility. Benefits for your disabled adult children – benefits will continue at age 18 to a child who’s disabled. Childhood disability benefits are also payable after reaching age 18, if the disability began before age 22. Our publication, Benefits for Children, explains all we do to help care for children. Benefits for your spouse – your spouse may be able to get spouse’s retirement benefits if they’re at least 62 years of age and you’re receiving retirement or disability benefits. A spouse may also receive the spouse’s benefit if they’re caring for your child who is also receiving benefits. Survivor benefits – we don’t like to think about death, but we need to prepare for it. Social Security eases the financial burden on your loved ones after you die by providing monthly payments to eligible widows, widowers, children, and dependent parents. Services in the language you speak – in addition to publications available in 17 languages, including Chinese, Hmong, Korean, Tagalog, and Vietnamese, Social Security also provides free interpreter services to help you conduct business with us. These interpreter services are available by phone or in a Social Security office. Our Benefits Planner website explains all the benefits Social Security has to offer you, your spouse, children, and other eligible members of your family. If you’re ready to retire, you can apply for benefits using our online application. Visit our Benefits Planner today! Knowledge is the key to preparing for tomorrow. Our Asian Americans and Pacific Islanders page has a wealth of information. Visit today and learn more about how Social Security helps you secure today and tomorrow. This entry was posted in Special Events and tagged aapi, AAPI Month, Asian American, Pacific Islander by Jim Borland, Acting Deputy Commissioner for Communications. Bookmark the permalink. Social Security is not a benefit but a earned account. It is suppose to be for people that while they were working put into it for retirement..This is not right that the money in Social Security is use for everything else, to me this is way Social Security is going broke.. There are no individual earned accounts. The program is an insurance program (your application says so in the heading). It is just like term insurance where everyone’s contributions go into a pool and you take out only when you qualify. You will receive these benefits until you die, long after what you paid in (even with the most generous interest) was spent. This is why it is considered a social insurance program started in the Great Depression. It insures against the poverty that occurred 80 years ago when 25% of workers lost their jobs and the elderly had no safety net. It is Americans doing for other Americans. Yes, you earned it, but it is about us, not any one individual. Can the SSA spend more time resolving it’s “estimate overpayment of over $571 million to over 35,000 beneficiaries in 2012”, as published in today’s Office of the Inspector General report and less time posting on its blog. Aloha from Mau’i. Well done. My grandson who is 19 was adopted from the Marshall Islands when he was 7months old. He has mitrochandral II disorder and is being treated by Greenwood Genetics. Can you give me some directions for his qualifing for programs. Hi Brenda, the Social Security Act sets out a strict definition for disability. We pay disability benefits to people who are unable to work because of a medical condition that is expected to last one year or more or to end in death. However, if a person believes they are disabled and meets our definition of disability, we encourage them to apply for disability as soon as they become disabled. Your grandson can apply online, which is quick and easy. He can also apply by calling our toll free number at 1-800-772-1213 from 7 a.m. to 7 p.m. Monday through Friday. Or he can contact his local Social Security office directly. We hope this information helps!